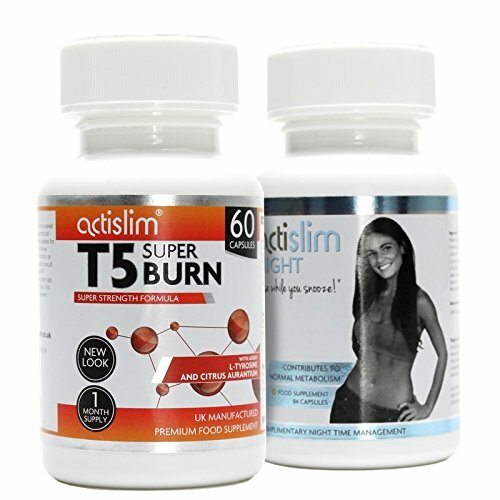 Our Actislim T5 BURN capsules are formulated with Raspberry Extract, Caffeine, L-Tryptophan, Citrus Aurantium, L-Tyrosine & Niacin. We’ve offered an insight into the key ingredients below: Raspberry Extract Raspberry Ketone is the enticing aromatic compound within raspberries that can offer many health benefits. Clinical findings suggest that they may help to regulate the protein adiponectin, which plays an important role in the body’s metabolism. As a result, these exciting nutrients can support weight loss efforts, particularly when paired with a well balanced diet and regular exercise regime. Our Actislim Night capsules are formulated with Vitamin B6, Chromium, L-Arginine, L-Glycine, L-Tyrosine, L-Omithine, Kelp, Lecithin, Apple Cider Vinegar, Spirulina. We’ve offered an insight into the key ingredients below: Vitamin B6 Vitamin B6 provides a role in then contribution towards normal energy-yielding metabolism, formation of normal red blood cells, normal protein and glycogen metabolism and a reduction of tiredness and fatigue. Chromium Chromium is an essential trace mineral that helps to maintain normal blood glucose levels and aids the metabolism of other nutrients in the body. Actislim T5 fat burners have been scientifically formulated to increase energy stamina, focus and metabolism in both men and women, creating the perfect fat burning pills that work fast. Proven to work contains ingredients such as raspberry ketone, citrus aurantium and caffeine. Proven to inhibit fat production and suppress appetite. Increase lean muscle mass and turn your body into a fat burning machine! 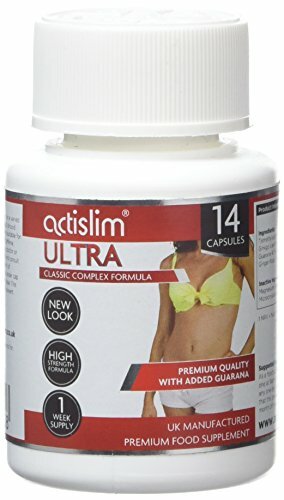 Actislim Platinum The UK’s #1 weight loss slimming pill, Contains Garcinia Cambogia, Citrus Aurantium and Caffeine for fast weight loss, 6 Week course of a diet pill which really works. 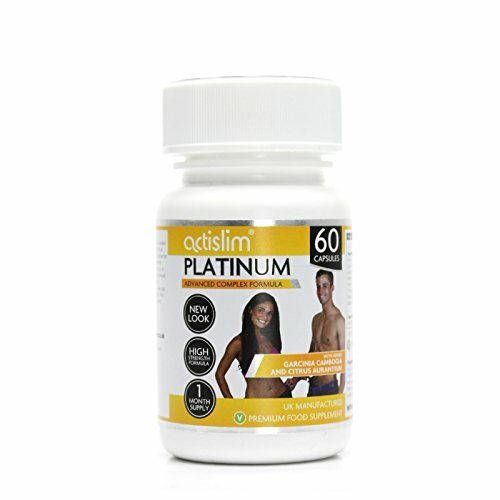 Actislim Platinum is a 100% natural herbal dietary supplement designed to help you achieve your personal lifestyle goal much quicker than other products current on the market. 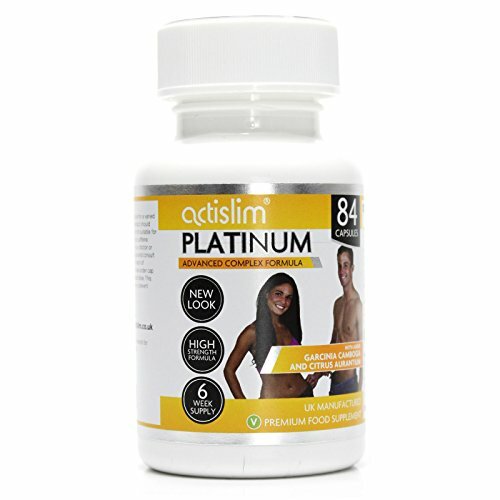 Actislim Platinum contains a combination of natural ingredients designed to help you achieve your designed weight loss, quickly and effectively. Consuming too many calories and too little exercise can lead to excess weight, however Actislim Platinum can help to lower your calorie intake and increase your energy levels as well as giving you a boost. As a dietary supplement adults to take orally 2 capsules daily; 1 between 9am & 10am, 1 between 1pm & 2pm. Do not exceed 2 capsules in any one day or take capsules after 3pm. It is recommended that this product is taken after food and in cycles of 3 months on and 1 month off until your target weight has been achieved. Proven to work contains ingredients such as garcinia cambogia, citrus aurantium and green tea. Proven to inhibit fat production and suppress appetite. Increase lean muscle mass and turn your body into a fat burning machine! Value for money available in 3 sizes to suit any budget. Actislim Platinum comes in a HPMC vegetarian capsule and does not contain gelatin. Actislim Platinum The UK’s 1 weight loss slimming pill , Contains Garcinia Cambogia , Citrus Aurantium and Caffeine for fast weight loss, 4 Week course of a diet pill which really works.